We hope all our readers are having a great summer time with a lot of inspiring adventures. However to those who have winter now (hello to our friends in southern hemisphere!) 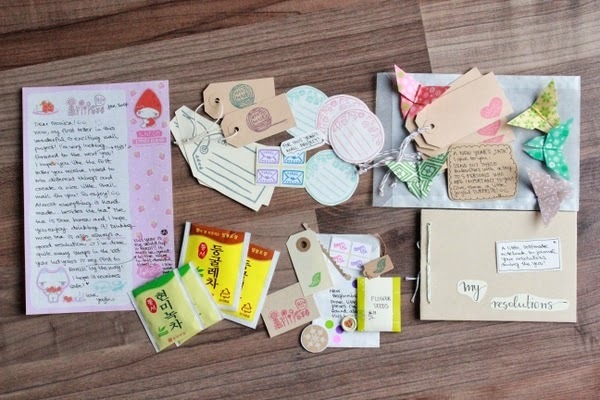 or are looking for some cute mail ideas, here you go! A little review of wonderful letters you haven't seen yet! 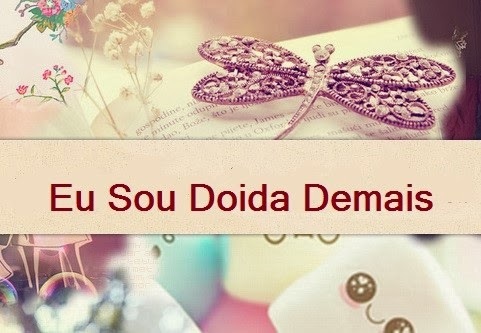 Let's start with letter from Germany sent by Yoo-Jin to Brazil - Monica! Yoo-Jin has sent a real cute overload mail - not only letter, but different little things and all about monthly theme - New beginnings. Almost every fun and crafty project needs some nice tags, so Monica received gift tags and lot of stickers with stamped decors. 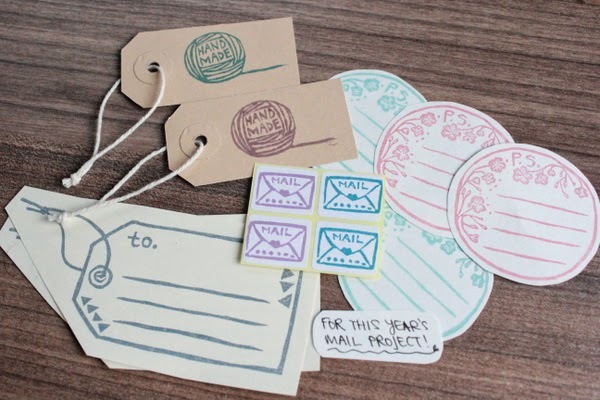 How many different mail projects can you imagine where you could use these goodies ? Time after time we need to set some tasks for ourselves. 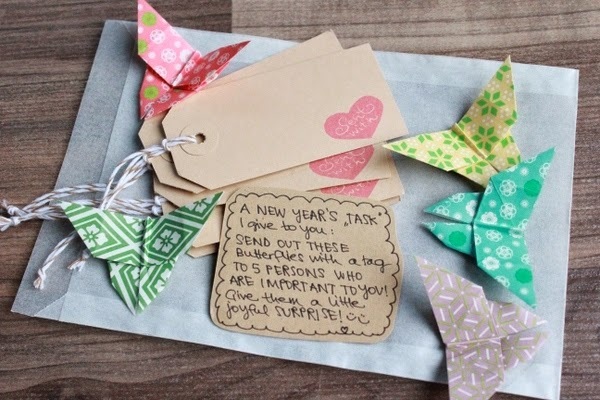 Giving tasks to others is nicer, so Yoo-Jin prepared an assignment to Monica - to send out five handmade butterflies to people who are important. Isn't this a really nice task? 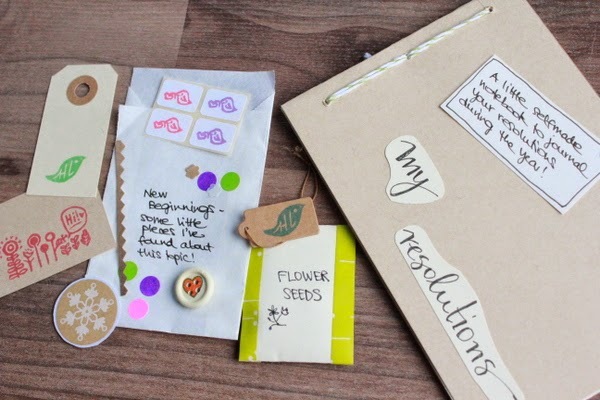 As a nice addition to the letter and thing mentioned above, a resolution notebook, flower seeds and stickers - that all was included in the first letter our project participant Monica received this year. If you are interested what are different letters sent within our snail mail project, don't miss the next post - follow us on Facebook as well!